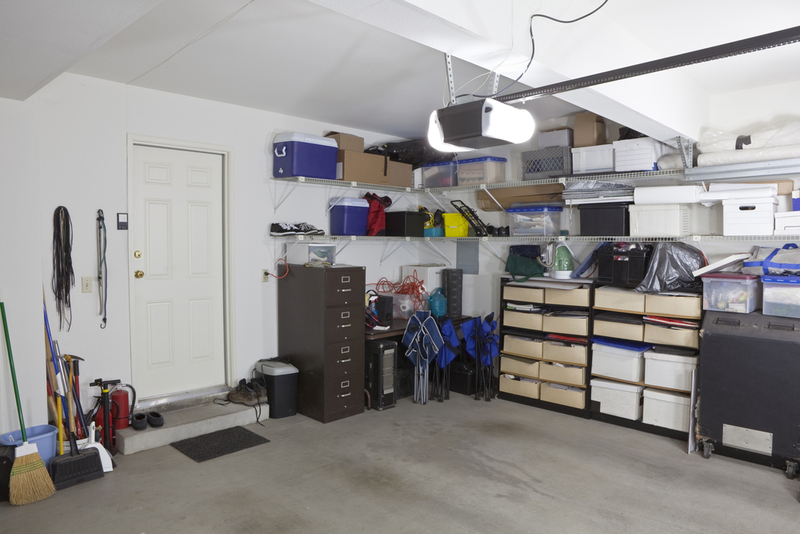 When it comes to storage space, your garage can be a hidden gem. There’s often underutilized space that is just gathering dust, that could be used to store seasonal items and yard equipment. There’s a lot of speculation on what is appropriate to be stored in a garage, and if a shed is a better place for storage items. There are definitely benefits to having a separate shed, but a lot of properties just don’t have the room for a shed. If your home doesn’t have room for a shed, then your garage is going to be your best bet for additional storage space! If you have a shed, or the space to add a modular/pre-made shed, it could be a great spot for storage! Shed’s are best for items that don’t need accessed as often or as easily as items that could be stored in the garage. Seasonal items are great for a shed, as well as yard equipment that you used once and don’t know when you’ll need it again, like a bulky saw or a till. A shed is also the perfect place to store your lawn mower and other lawn equipment during the winter. During the summer months, the garage may be a more accessible storage option. There is a lot of unutilized space in a garage that is often wasted. You have high ceiling and spacious walls just sitting there, not even serving a purpose. If your garage is kind of a mess, with things just stacked and piled willy nilly around the room, you would probably benefit from a bit of storage organization. Add a few industrial shelving units, and even add hooks to the ceiling to hang things like your bike from the ceiling. Using this space is a great way to make more room on the floor of your garage for things like gym equipment. Or if your garage has been such a mess that you haven’t been able to park in it, this is a great motivator to move a few things off the floor and onto the wall. A great storage tip for either your garage or a shed, is to purchase plastic bins and label them clearly on the outside, so you know what the contents of each box is without having to open them. This way you can store them on shelves or stack them on top of each other, and not have to worry about making a mess every time you need to find something or are looking for those christmas lights.